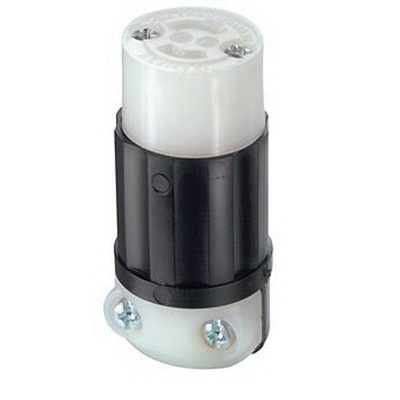 Leviton Black & White® 2-Pole 2-Wire Minilock locking connector in black and white color, is current rated at 15-Amps and voltage rated at 125-Volts. It accepts conductors of size 18 - 14-AWG and cords of size 0.218 - 0.43-Inch. This industrial-grade connector features impact modified nylon construction with solid brass contact. It has a dimension of 1.066-Inch Dia x 2.156-Inch. Connector withstands 2000-Volts dielectric strength. It has NEMA ML1R configuration. 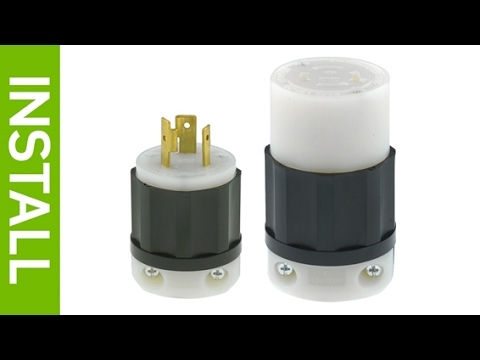 It withstands temperature range of -40 to 60 deg C. Connector is CSA/ANSI/NOM certified and NEMA WD-6 rated.